NEW YORK, April 10, 2019 – Boyden, a premier global talent advisory and leadership solutions firm with more than 65 offices in over 40 countries, announced it has named Roger T. Duguay, Managing Partner of the Montréal office, as the new Leader of its cross-sector Global CEO & Board Services Practice, effective April 25. 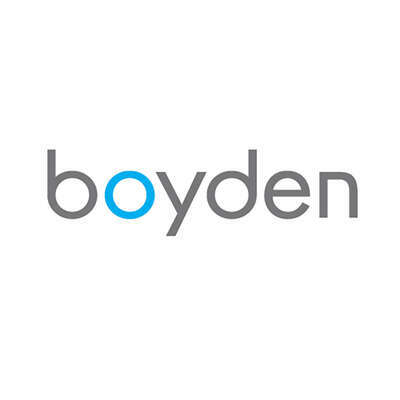 He will continue as a Managing Partner and Board Member of Boyden Canada. Duguay, who has more than 25 years of experience in management, human capital, executive recruiting and talent development, works closely with CEOs, C-level executives and board members of organizations in both the private and public sectors. He founded Boyden’s Montréal office and leads the firm’s Quebec operations. Duguay succeeds Tom Flannery, who will continue as Managing Partner of Boyden's Pittsburgh office and as the North American Leader of Boyden’s CEO & Board Services Practice. A certified board member (ICD.D), Duguay serves on several boards including one of the most forward-thinking business events in the world, C2 Montréal, and has been involved in over 100 CEO and Board placements.